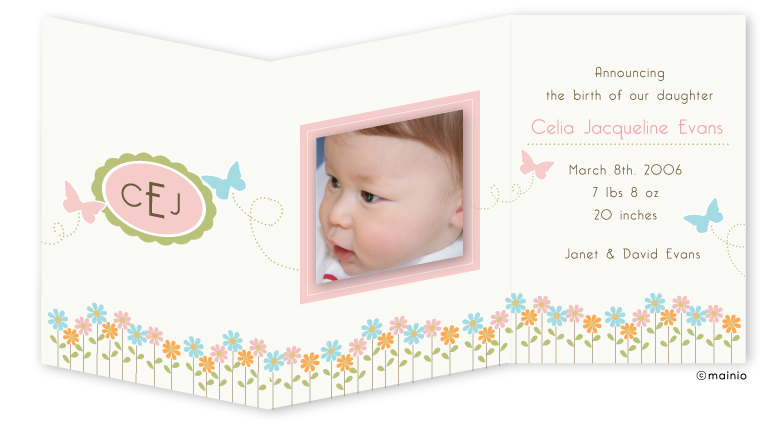 This clever petite tri-folding design features a soft floral border and butterflies. Front panel oval is perfecting for adding a printed monogram. 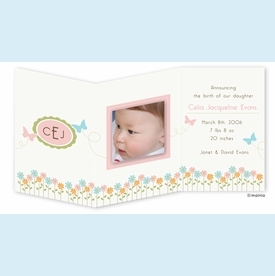 Middle panel holds a small square photo and last panel provides space for printing details. NOTE: Only 10 sets left!